I recently performed research into what people would spend for an "equivalent gallon" of hydrogen (to travel an equivalent distance in their vehicle). From this research, some profound and unexpected results (ah-ha's) came through. I am looking for feedback on these... I am interested in how to best move forward - with ideas that will help the U.S. become a "net-exporter" of renewable energy, by the year 2025. I’ve read stuff like this in techno press and even places like Newsweek. It is mostly ignored in DC and heeded in capitals on the West Coast and in the Northeast. Change is happening from the bottom. Throwing your voice on the pile can’t hurt, might help, but DC ain’t listening and won’t until the balance of power shifts. Kerry got this, said it, and lost bigtime. Not because of this but being right on this issue was worth about .5% of the electorate. Careful with innovation funds; the one in CT. is headed toward a lot of legal trouble. The one in MA got a bunch of money taken away after diddling around for years. Bush is using long-range research as an excuse to avoid short-term action. I’ve been involved in an effective R&D fund and it takes huge technical competence (wasn’t me) focus on the practical, understanding of the commercialization process and political buffers to make it work right. The CT and MA funds were blinded by economic theory and business mystique, were trying to use financial tools to commercialize products that were not yet low defect mass produced at an acceptable price. The situation required subsidy and they wanted to be financiers. My biggest concern is that innovation can be used to distract people from action. My second biggest concern is that innovation focused on the technologies closest to maturity takes 5-10 years to know if you’ve succeeded. The political types need the patience, and you need a very tight accountability system to make sure you are still in good odds. I think the NW is deeply hurt by the lack of funding for green technology R&D and commercialization, but I don’t see people putting up the money when efficiency funds are productively spending all their funds on current technology. It takes policymakers who decide R&D is worth the money. And then a tedious, rigorous process to vet things that is expensive, talent-intensive, and pisses people off. Another R&D group in CT (not the one headed for jail) has a public board including affiliate R&D groups, materials scientists, eco devo types and a patent attorney! They are invaluable. They still have a low batting average but some of the hits might be pretty big. So I’ve digressed from your letter just to state how difficult effective new technology/new business innovation is, and the political barriers to doing it right, and the checkered record of success I see. I wonder if it’s more effective to tell people to disseminate the knowledge we have now massively, save a ton of money doing it, and then find a way to use THAT money to innovate. Maybe track what efficiency programs do to state tax revenues and set that revenue gain aside in an innovation fund. Who is the audience for this document? Energy policy is not just about oil. It is simply untrue, in my opinion, that everyone is somewhat oblivious to the situation. Many many government programs/agencies are working at every possible angle to a) increase the efficiency of things that use energy and b) promote ways to conserve resources. Look at the energy ratings on dryers and central heating systems today and 10 years ago. Geography is an issue in this country that other countries (Japan, W. Europe) simply don’t have to face. E.g. it is a really big place. You are right to focus on the political/policy issue. However, it seems a comprehensive framework involving all government and NGO’s will be required. Is energy dependence more important than healthcare? Funding an effort. Consumption taxes e.g. pricing is generally how you get people to do or stop doing things. The EIF sounds a lot like the ideas that the Apollo Alliance have been promoting. Have you read about them and the work that they’re doing? www.apolloalliance.org. What I particularly like about their approach is that they talk about energy independence, job creation and environment. Your research is interesting. My observations have been that (1) most people don’t react to "we are the problem" (2) many people fear change, and perhaps as a corollary can’t envision life being different; (3) most folks in the sustainability movement fear that it will take crises and bad things happening before people wake up. Query: would people have responded to a call for self sacrifice in 2001 in response to 9/11 just as folks did in the 40s, or are we just not in that place as a society. I appreciate the efforts you have put into your draft paper / report. You are very much "speaking to the choir" with me on the issues you point out! Getting the country to recognize that there is a long term problem is immense. I have friends who are very interested in this issue but, due to the divisiveness in the political spectrum, have really dropped out in frustration. I like the idea of the EIF as representative of the daily fluctuation in gas price and thus may not be as visible to the average motorist (and tight pocketbook) but if it would fly is questionable. We invest a hidden tax in this country in the cost of the military / oil company tax breaks and such to run our economy. I was wondering if there could be a push to expose these costs and say they are fine as long as they are matched with an equivalent amount going to develop renewable sources as a "investment in the future". I prefer that i.l.o. spending tax dollars in our current and future "resource wars". Wars take away from the money that could be available for increased manufacturing and job development. Jobs are what help keep peace in a country. I do not understand what the "25% issues" are. Can they be clarified? Under "We Need Vision" I am concerned that few realize petroleum is not only used for transportation but also plastics and fertilizer. A revised Hubbert's Peak bell curve chart needs to be made to take that into account. (see www.hubbertpeak.com). I recommend very strongly the Don't Think Of An Elephant book by George Lakoff. I do not know your political views but I feel discussion of the difference between conservative / liberal views and reframing the issues is very much needed in this country. The Rockridge Institute is attempting to take those two issue public. (see www.rockridgeinstitute.org ) All sides do need to get together and come to agreements on workable solutions. Without campaign financing reform (now a seemingly forgotten issue), amongst other things,. I do not see it happening easily. I wish I knew the best ways to bring these topics to the general public public. I have been doing a little writing to the New York Times and Wall Street Journal & would like to do more. It at least gives me a opportunity to vent, and the H2 hobby lets me be creative & network. I have contacts you might want to meet after further development of your work, people who would value your drive and might be able to help make your effort more productive. Thank you for the opportunity to review your draft letter. I think that the "call to arms" is both well said and accurate. I believe that your letter is short on specifics that can actually lead us to an energy surplus, but the nature of the letter---one to shock people into thinking about a surplus rather than managing the size of the deficit, is very appropriate. As I read the letter, one of the things I imagined was a national effort to build a complex, perhaps nuclear powered, that could manufacture storable energy (hydrogen syngas, or perhaps oil from tar sands) in sufficient quantities that those in the Middle East who have never done a day’s work but who are wealthy beyond belief and feel that they have earned every nickel of it will realize that the position of superiority that they feel is more transient than permanent. Why not make such a complex a national priority? I am not suggesting that distributed energy, wind, solar and conservation are not a significant part of the solution. 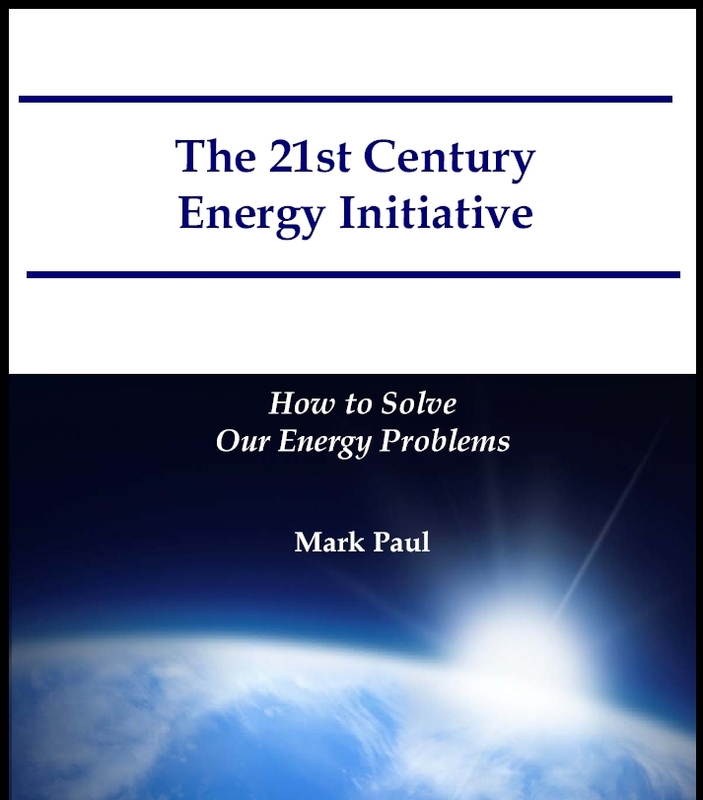 We also need to produce exportable energy in quantities that make us a 21st century world power. Far better to use the technologies available to us to do that than to simply save our way to prosperity---a strategy that is likely to fall short. If the idea of a very large energy manufacturing complex is appealing, I would love to get engaged in ways that such a facility could be authorized and financed. I finally completed my review of your letter and report. You did a nice job and clearly put in a ton of work gathering, analyzing, and compiling the information. My overall impression is that you are 100% correct about the need and solution. However, the documents as written (and as we have discussed before) do not present an unavoidable urgency for the US leaders and populous to heed your words. 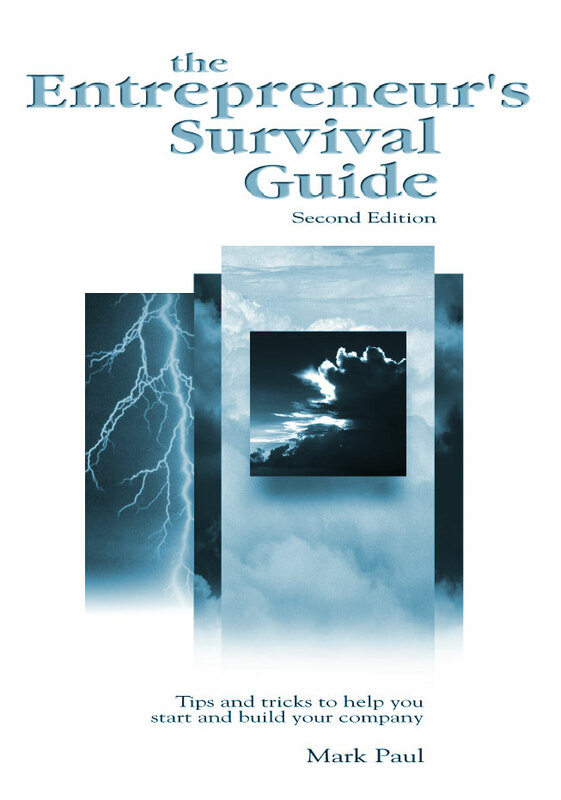 What I see as being needed in the documents is a defined (and documented) future event, with a projected time frame, that makes acting now absolutely necessary to avoid a serious problem. Something like: "By 2025 the world’s consumption rate of known oil reserves will be escalating at a rate of 20% per year due to the rapid industrial and social developments in China and third world countries. At that rate of increase, the world’s known oil reserves will be depleted by 2050." This example is BS, but the idea is that our government leaders need to be shown a valid, compelling, and urgent problem in order to pique their interest and start them doing their own investigation into the problem. If you can accomplish that, and the issue can gain momentum among government leaders, then you have succeeded in starting the process of developing an Energy Independence Fund to help resolve the growing energy problem. From another view, showing a bit of the devil’s advocate, revolutionary technological developments in the US have generally come about more from capitalistic entrepreneurs where there was an economic gain to be made from the effort to discover and develop new technologies. From internal combustion engines to computers, the new technologies (I believe) came out of the drive of inventive and foresighted individuals to see a need and fill it. The space program, as you point out, provided a tremendous amount of spin-off technology advancements, but only after the program was backed and funded by the government. If/when the oil issue grows in urgency to where it has the political impact that the Cold War had on the US defense and space programs, then the government will fund alternate energy development. Short of that, I see energy technology evolving for economic reasons. This seems to be at the core of the issue you raise – the US has cheap gas and until that is likely to change in the foreseeable future, the market for alternate energy development is too far out in time for the free enterprise system to commit resources and expect a return. Until alternate energy can compete economically with oil, be it because the price of oil rises to $10 a gallon or generating an alternate energy like hydrogen comes down (or some combination of both), the creative and inventive entrepreneurs will not have a motivation to act. Personally, I prefer your approach of being proactive and resolving the energy issue before it becomes daunting and more expensive to correct. If providing a definable and urgent issue in the documents is possible, I expect you will have a real chance of capturing the necessary interest of the right people to start a movement toward alternate energy development. In the last sentence, where you say "…the federal government develop and fund an "Energy Independence Fund" …", it implies that ALL of the funding would come from the federal government. As I recall, government funding was only part of the funding pie. If that is true, rewording to something like "… federal government jointly work with corporate America to develop and fund an "Energy…", might sound less political (i.e., liberal/progressive) and more of a cooperative effort. Thanks for letting me review your work. I've read your letter and am in general agreement with it. The main question I have is who are you planning to distribute it to? The tone of the letter depends upon your audience. Clearly, the letter predicts some real doom and gloom if we don't do something and I believe you are absolutely right. However, depending upon your audience, gloom and doom can sometimes be construed in the wrong way. I read your letter. My suggestions: Edit out the political reverences to war and democracy. It came off as left wing. Stick to the facts, it is a strong enough argument. Gas has dropped significantly since you wrote this. The problem is still there, just masked under temporary supply conditions. You might want to hit on that very point. Temporary price drops just fuel the addiction. The solution seems logical for creating the fund. Probably political suicide, but if someone doesn't step up and make a decision, you are right, we will see those lovely Arab's pull in the strings one day when we least expect it. I don't think $14B is enough. It would take 10 years just to get the infrastructure to support a hydrogen based fuel economy if you put 100% of your energy efforts in to it. If I were president, this would be my number one focus. 1) In your ranking, rank #10 (most will pay more, IF they know all their concerns are met) appears to me the strongest and should therefore be #1. All other ranks are very supportive of rank #10. You could probably develop an even stronger message by sending out one signal that is supported by many facts. 2) The majority of participants are from Oregon. I know that you want to start publishing it here in Oregon. Should you decide however, to publish it across the U.S. than I would suggest expanding the study further and if possible even involve a University with doing so. 3) Because of the strong message you are planning and able to send there will probably be some people who will try to attack your report. Always an easy field for attacks is statistics. Again here, working together with a University could prevent attacks on statistics. 4) I am not a Bush supporter, but Bush claims to stand for American values. Considering the support this administration received during the last election and the power it has, it might be a good idea to try working together with them instead against them. In my case, I would probably call this ‘Crying with the Wolves’. Your message is already based on American values as e.g. innovation and profit. It would be an amazingly strong message if you could spin your story even more around these values. In addition, you could also employ the Chinese planning time lines of 20 and more years as a competition to the U.S. in terms of ‘If the U.S. does not focus on innovation within the Energy sector, some one e.g. the Chinese, certainly will’. 5) There is a small group in Portland that belongs to a large U.S. group. They are called ‘First Thursters’ and meet once a months on a Thursday. They are politically very engaged and very liberal. They also build a huge network across the U.S. to share and pre-publish political ideas. I think it could be very helpful to connect with them – and they always meet in a pub on 23rd so there is always some beer involved. Thanks again for sharing this report with me. I hope my comments are helpful. It would be very nice to see some impact based on your study. Damn, I better sell my Jeep! The single strongest phrase (in my opinion) was "ten dollars a gallon will be a reality in ten years". This is a powerful wake up call that rings true to my ears and creates the emotional impetus to action for everyone in our society. I also feel that your use of Kennedy's call to action is very effective. In that context, I found the 3rd paragraph in the preceding "Time for Action is Now!" section to be particularly compelling. The argument is simple, logical and emotional. The words "Americans," "know how" and "just do it" in such close proximity brought forth a sense of patriotism I have not felt in a while. Sandwiched in the middle is the logic of "make a decision" instead of "just take sides". I wonder if this could/should be echoed somehow after the Kennedy quote? I am left feeling like the call to action in the close needs to be more powerful (although it is quite good.) Particularly strong are the actions of contacting your representative to urge support for the EIF, and only electing those who will actually do something to solve our energy problem. Although I hope to read your report at some point in the future, and intend to buy a hybrid next, these latter "bottom up" actions will not work without the"top down" leadership and vision. I also feel like there is an opportunity to focus on the emotional power of "for generations to come" and expressly state if not for us, then for our children (and there children etc.). Mark- I like your paper very much and would be happy to read it as is. The above statements are my first reactions to your written words. The following points feel like nit-picking in comparison but I want to offer them for your consideration. I wonder about including any reference to Israel. Although, an important facet in this discussion, it feels like a "wildcard" that will have unpredictable effects on your readers. I personally did not understand the reference to the "25% issues" and "DG"; and guess that this means 25% each for production, efficiency, storage, and distribution, and the "DG" means "distributed grid"? And finally, the "progressive" in me felt like some issues were correctly avoided on your part (because you would lose half of the audience) and I want to bring them up with you because they sent up "red flags" in my mind. For example, I am very suspect of "free, market driven economy"- I do not agree that this is the holy grail of life on earth. Likewise, the use of "global economic dominance" is too strong for my "nurturing" ideals. And lastly, I feel like our growing "problem" might be better understood as a growing "cancer" on our society and would invoke more powerful emotions as a slow decay into life and death issues. Similarly, the progressive in me very much liked your word phrases of "held hostage by oil producing nations" and especially "continue dying in battle, continue exporting jobs, continue democracy's gradual decline: because we are addicted to cheap oil." Mark- overall I feel like you have achieved a balanced non-partisan call to Acton that passes the "so what" test. I support the EIF and will vote for politicians that do so. Let me know if I can do anything else to help. Energy independence paper: For most new readers, I think the presentation is lacking background and context. for the most part, I am not clear what you mean by "a hydrogen economy". What would that even look like? What are the elements of it (yeah, I know - hydrogen). Why are biomass solutions rejected out of hand? Personally, I'd like to see a guided tour of what life looks like with the current Energy plan and with your energy plan. What is wrong with the current Energy plan? What IS the current energy plan? Why is the current plan the plan of record? What will work? what won't work - and why? Seems like many readers may get snowed without a more engaging glide path into it. I'll admit - I only spent about 10-15 minutes looking it over. But that was enough for me to feel like I seriously wasn't getting something about what the issue is, why it is an issue, what hydrogen economy is, why that is the WAY and other's aren't, etc. 2. I like your segment on supporting non-partisan solutions. I don’t know if it serves your purpose or not- I've always ignored data and models for government organized and funded change because my gut instinct is they don’t work very well. I am thinking the space program may be the only example of one that did, but I could be wrong. Rickover's development of Nuclear Reactors for propulsion, and then transition to commercial power might be another. But I just don’t know enough about SUCCESS STORIES that provide data points showing "non-partisan solutions" as opposed to partisan wins and losses is the necessary element. I would give this some rigorous historical testing by expert opinion from people who know more about what works best more than I do. ON THE OTHER HAND, this section also addresses and hints at something I think you ought make overt: I have not seen many successful commercial revolutions (like you are proposing here) that eschew profit motive or perpetuate subsidies and special treatment. Put another way, I am of the opinion that PROFIT PRODUCING and COST REDUCING characteristics of problem solutions have been the life blood of REVOLUTIONARY CHANGE in commerce in the US. And I don't know that you include implicitly or overtly make the point that we have made many attempts at renewable technologies and improvements only to "keep the on the drip" of subsidies and special treatment. This approach has in my opinion CRIPPLED their revolutionary potential. Wind has made great progress, but somehow they still need to whine up some new production tax credits or renewal every time in order to compete. I would not hang any of my proposal or argument on the fact that Oil is now $50/bbl If it goes to$35/bbl does that invalidate your proposal or argument?- no- so why open yourself up to the second guessing- no point to it at all.... That’s not a big point. I also might have a mild critique of using "asynchronous" as the problem with wind. Its a problem, but to me controllability- which your argument of storage goes directly at is the real culprit. However, it may be a matter more of semantics so I cant suggest changing that is vital. Thanks Mark, interesting article. Many of the ideas seem worthy of consideration/additional work. I share some reviewers' concerns about the "gas tax" approach, but won't bother reiterating the flaws. My major concern has to do with the notion that throwing $15B at the problem is going to accomplish much. With the space and nuclear programs, there were a clear paths to success with the technologies involved. It really was a matter of time, money and resolve to make them a reality. Producing hydrogen economically is another story. And $15B is a drop in the bucket when it comes to building a hydrogen infrastructure, though at least we have a sense of how to go about it. I suppose that I have the same concerns about several other technologies. I know of know breakthrough in photovoltaics that is waiting on investment dollars. Fuel cells run on hydrogen that is expensive to produce (and is generally reformed from natural gas). I'm not convinced that throwing more money at them will get us where we want to go. I hate to use the N word, but what about the next generation of nuclear plants charging electric vehicles during off-peak hours?